Step 1 Pour 1 cup water into a multicooker. Sprinkle squash with salt and pepper and place in the multicooker. Close and lock the lid. Cook at high pressure for 7 minutes. Release the pressure and remove the squash from the cooker to cool slightly. When cool enough to handle, gently scrape out the squash flesh with a fork. By far the easiest way to cook spaghetti squash is with a pressure cooker. 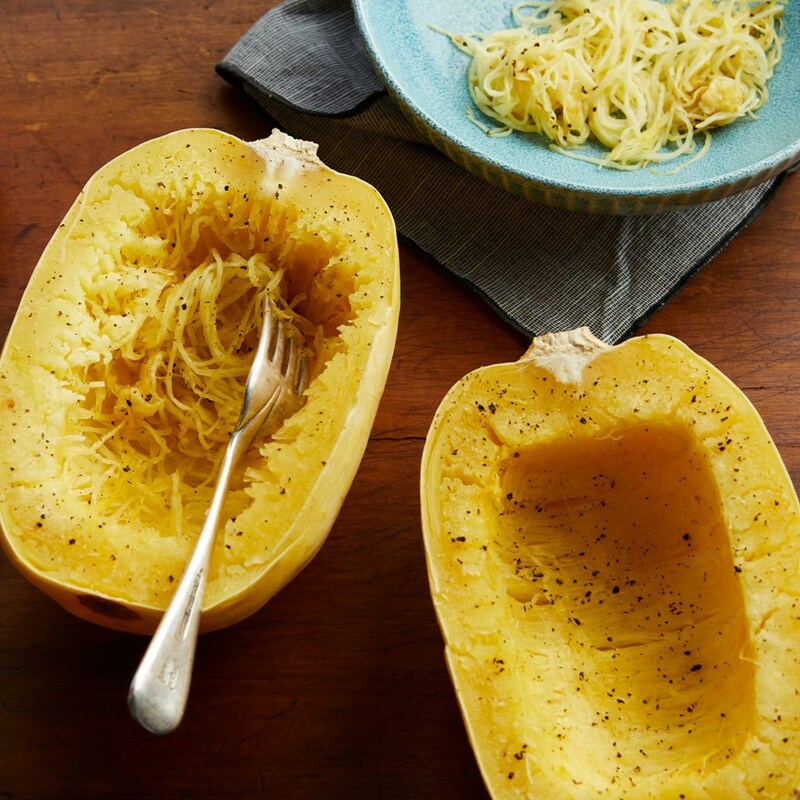 The noodly, low-carb squash turns tender in only 7 minutes in your multicooker. Enjoy it plain as a side dish, or dress it up and use it as a substitute for pasta.